What is the first thing that comes to your mind when you surf through the internet in search of a lawyer: Trust? Effectiveness? Capacity? Network? Confidentiality? Experience, or what? I am Michael Teshome, a lawyer from Addis Ababa, Ethiopia. My main job is to assist clients with their legal problems and make sure their queries are addressed. Your legal issues are my priority. The kind of transaction you are involved does not matter: whether it is contract, labor, real estate, arbitration, family, succession and tax, I am here to support you to prevent any kind of problem from happening and solve it immediately if it occurs. Theoretical and work experience taught me that nothing is more important than TRUST and EFFECTIVE COMMUNICATION between attorneys and clients. My exposure helped me to accumulate vast amount of knowledge within a short period of time and assist clients in commercial, family, succession and employment cases to win more than Birr 25,000,000.00. 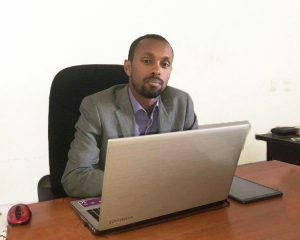 Aside from practicing law, my passion to contribute to the public drives me to teach Construction Law and Civil Procedure Law at Addis Ababa University, the largest University in Ethiopia, and write a book about Ethiopian arbitration law. Certificate for participation in a conference organized by AU, ICC, DLA Piper, MehretabLeul& Associates Law Office with regards to “Arbitration in Ethiopia, East Africa and Beyond: Possibilities, Prospects and Challenges”. Certificate for taking part in an intensive training organized by Addis Ababa University, TameruWondimagene Law Office and BonelliErede Law Firm. Governments In Africa Must Trust Their Own, https://www.africa-legal.com/news-detail/editorial-governments-in-africa-must-trust-their-own/, 2018.